Peanut butter must be so jealous. I have been remiss, criminally, criminally remiss, to have not mentioned cookie butter on my blog to this point. What can be said about this marvelous paste. It has been said that, “(Cookie butter) is the best stuff on earth.” I have also heard that “The life is cookie butter, and cookie butter is the life.” Less esoterically perhaps, and certainly more to the point, cookie butter has also been said to “taste like Christmas.” But does cookie butter live up to these claims – this, a product hiterto unknown to all but the most deeply entrenched in the culture of European import food shop? The answer is yes. This can brook no argument. Behind me in my apartment I have stockpiled a small but significant quantity of weaponry in case I’m called upon to fight for this belief. I know this is a hard sell to those of you out there who have not yet tried this strange-sounding substance. We’re all familiar with peanut butter, a good many of us even with apple butter, but cookie butter? The name resists our minds attempt to parse the taste. Can they even do that?, we wonder. Surely they’re not just smooshing an indiscriminate bunch of cookies together and then voila, into the jars it goes. My best advice to you is simply don’t ask, just try it. All the questions will wash away in a flood of understanding that may be quasi-religious. For the skeptical, I’d put it this way. You know peanut butter? That amazing substance that goes good with everything – chocolate, apples, bread, raisins, ice cream – everything? Peanut butter that you’d never turn down a nice spoonful of just right out of the jar it tastes so good? Well once you try cookie butter you’ll never go weak in the knees for peanut butter again. Cookie butter not only out performs peanut butter in the taste department in a big way, it actually transcends the foods it goes on. Combining it with things actually detracts from the amazing taste of the cookie butter itself. It has no need to be weakened and debased through novelty alloys. It’s like elemental gold, pure in and of itself with no need to be weakened and debased through alloys. Consider this simple equation: peanut butter plus chocolate = delicious. Cookie butter plus chocolate = not as good as cookie butter alone. 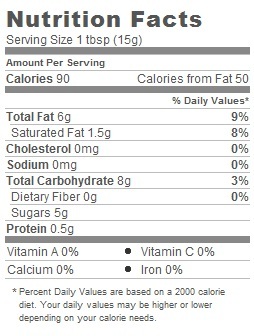 As shocked as I am to say it the math speaks for itself – cookie butter is better than chocolate. We owe our thanks to the Belgians for this wonderful cream. As the label itself boldly states this cookie butter is “Speculoos”. Speculoos itself is the eponymous cookie used in the concotion. It originally hails from the Low Countries where it has been baked for the Feast of St. Nicholas for centuries. Though the word is Dutch, and likely the recipe for the cookie used as well, it was the blessed Belgians who first decided to blend cookie crumbs into a spread. In early 2007 a Belgian chef went on the blockbuster Belgian prime time hit De Bedenkers (The Inventors) with the creation and by November had risen from a crowd of over 2,000 entrants to the position of finalist. It is no wonder. Cookie butter was first marketed by the European company Lotus as Biscoff Butter. And though Biscoff butter is very, very nice, the food wizards at Trader Joes have improved over even it with a creamier texture and more nuanced blend of spices. Please, if you disregard every other word I write until I shrivel and die in the cold and my soul drifts off to the void of a godless sky, do not disregard these. Try Cookie Butter. Would I recommend it: Dur, I dunno – maybe. Would I buy it again: I would fight you for the last jar if I had to. I would gouge your damn eyes out. 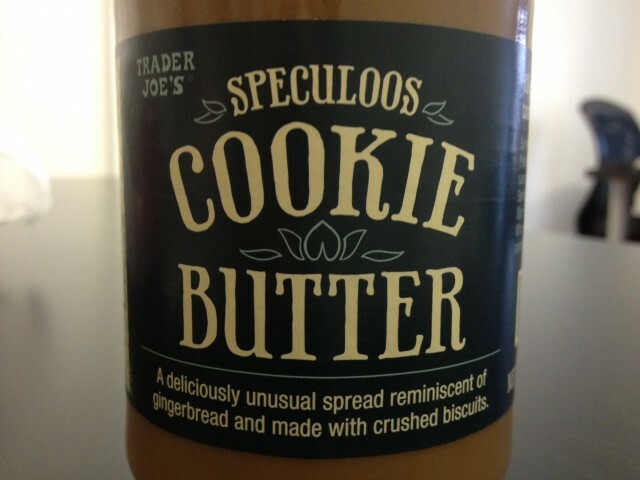 Final Synopsis: Trader Joe’s Cookie Butter is proof that man has at last surpassed God himself.